Moon / December 28, 2017 / L.A.
You already know that I’m all about living a non-toxic lifestyle. Clean air is vital for our survival as breath is life. Toxic air is no bueno, and it’s not easy to gage the air quality in your home, however, there are some devices out there and I need to get one! 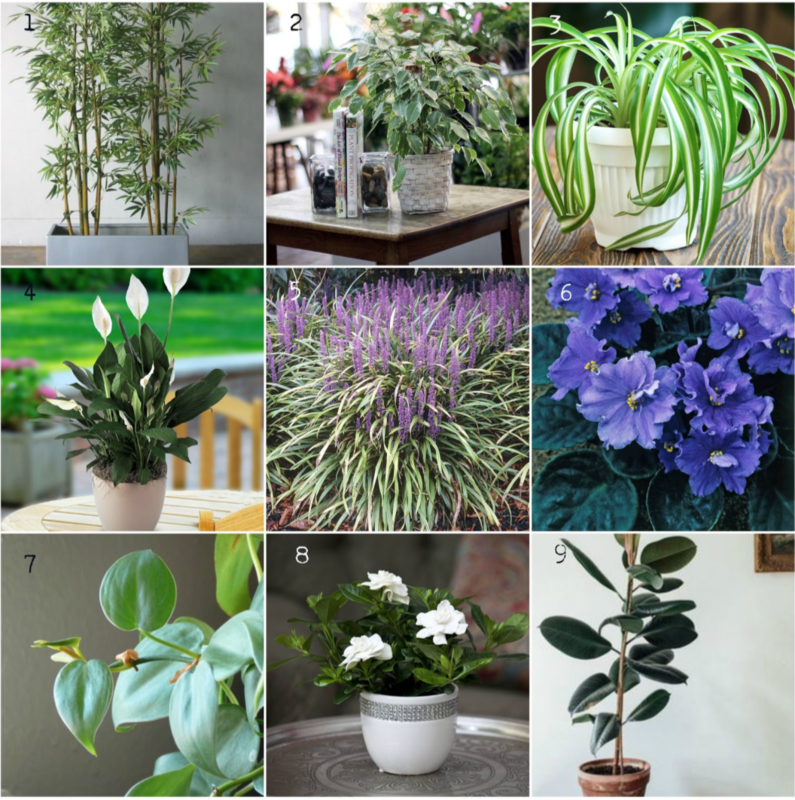 Anyways, why not play it safe and add plants into your home? Plants actually convert toxic pollutants into their food through the process of photosynthesis, which is then turned into clean air for us to breath. It’s pretty amazing what plants can do and the impact they can have in your home. Ficus/Weeping Fig: removes formaldehyde and other pollutants that live in the furniture and carpet like trichloroethylene and benzene. Spider Plant: removes carbon monoxide. Creeping Lily Turf: removes ammonia. African Violets: absorbs heavy chemicals. Rubber Tree: removes bacteria and breaks down airborne chemicals. So many plants, so little time. What’s your relationship to plants? Leave a comment below cause I’m going to send a plant to one lucky person!! I also commented on your Instagram post. I would buy more plant on my home for breath a bether air. Nature is the ultimate healer. Nature is beautiful and is the essence of our health and well-being. I was having sinus issues but only at home – I put a Rubber Tree & Ficus I now breath easy! Just learned a lot! Thanks for the info. A truly interesting article. I was aware af some of the plants and do grow some of them around the house and garden. Bamboo, peace lily and jasmine are common place i my home but I will now try to grow some of the others aswell. The rubber always fascinated me as a child because my grandmother kept several in the parlor of her Victorian era house. She used to tell me her runner trees were a therapy when she needed to relax. I used to think she was joking, but now I realize she was right.